Get out in nature and get into the spirit of world freedom! Experience The Hearts Center Community’s World Freedom Conference, Soul Freedom through Spiritual Wholeness—Soar to the Sun!, June 20–23 in Livingston, Montana. And begin on June 19 with an outdoor Meru University workshop, In the Garden with Anastasia. Our five-day event begins with fun-in-the-sun-and-soil at a Meru University outdoor workshop, In the Garden with Anastasia. Taught by Mona Lewis, a seasoned permaculture consultant, teacher and gardener, and sponsored by Anastasia herself, this workshop will reveal new ways to connect and cooperate with nature spirits, devas and garden angels. It will inspire you to heal the earth and to develop your gardening intuition. Anastasia is a living legend, still residing in the Siberian wilderness and known worldwide as the beautiful and extraordinary Russian mystic whose vision is influencing the world to restore the Earth to its pristine state. Her amazing knowledge and powers are described by Vladimir Megré in the Ringing Cedars series. She will speak to us in her own words during the class through David Christopher Lewis, author, teacher and founder of The Hearts Center movement. Bring the whole family to Montana! Everyone under 33 is admitted free! The children will enjoy our youth program. The teens and young adults are planning a special Youth Day program and their own campout, along with other youth activities. Via Skype and in person, International heartfriends from South Africa, South America, Sweden, and Canada will report on their local projects and services to promote world freedom. Build new friendships and strengthen old ones. Enjoy free time each day to nap, read, soak up the sun, or raft down the Yellowstone River. And don’t miss the community’s annual talent show with its spoofs, spontaneity and loads of fun. Be in Montana. Be out in nature. Learn more about Anastasia and magical gardening! Bless and serve to multiply light and advance the cause of world freedom! Click here for more information on In the Garden with Anastasia. Special Summer Offer- Everyone age 33 and under is admitted free! Special prices for international heartfriends. See store for details. $100 per household. Special prices for international heartfriends. See store for details. “…Now, dearest hearts, I would speak about your Summer World Freedom Conference. For again there is an opportunity presented unto you, each one, to be with your fellow brothers and sisters of light . . . .Click to read more! —those whom you truly cherish as dear heartfriends, those who look to God as co-creators in a greater investment of themselves in the holy purposes of the Great White Brotherhood, the work of the ages, the sacred mission to save souls and to set life free in all realms. “This summer conference, I say, will be stupendous for your soul elevation. And there will be an infusion of cosmic light through the various masters who will be speaking unto you, interacting with you, laughing with you, dancing with you. Yes, they will caress you with their cosmic fires. And they will deliver, unto many of you, keys, answers for the victory of your lifetime in this hour, in this incarnation, in this very time. “What are these keys, you ask? What will the blessing of the Maha Chohan and his words to me be, you may ask? Come and see! Come and discover a newfound planetary freedom and a flame that will be yours to claim if you sing its melody. And if you alight within Livingston to be with this one who will be ready for you, even daring you to fly higher, urging you onward to your true selfhood in God, guiding you through the gentility of his heart, one with ours, yes, dearest ones, the revelry will be great! Even the reveille before dawn may ring within your ears as you arise before the sun to gaze upon that holy orb of light, engage in your Paneurhythmy dance and meditate with the master Omraam upon the Sun of all. “Study the program if you would. And prepare yourselves these final three weeks for what you would invest in our greater cause and of what you seek to receive from us to nurture your soul so that your flight may be straight as an arrow and your ascent true in the light. and New Levels of Soul Freedom! Enjoy photos form this event! Scroll down this page to find out about early bird registration, transportation, fantastic restaurants, specials on lodging, and so much more! What to Wear and What to Bring! Got Talent? If you have any talent you would like to share including music, songs, poetry, comedy, skits, etc., contact our talent show emcee, Raphael at talent@heartscenter.org. If you wish to sell consignment items at our event, call Jeanette at The Hearts Center store at 312-253-7600 by June 6. Shuttle service begins on Tuesday, June 18, and continues through Monday morning, June 24. Please contact transportation as soon as you book your flights so your arrival and departure shuttle service can be scheduled. 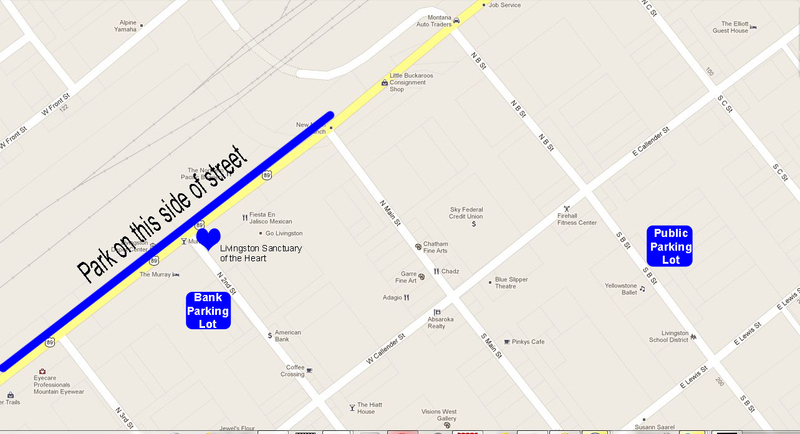 Please email transportation@heartscenter.org if you would like shuttle service from your hotel. Require help finding a roommate? For help finding a roommate please email lodging@heartscenter.org. Local restaurants and grocery stores--many yummy ways to satisfy your tummy! Listed in order by most healthful meals, as rated by our local connoisseur! Printable PDF map of nearby restaurants! The Wok (1 block) Chinese food. Open every day, hours 11:30 am to 9:00 pm. 222-7009. 102 N. 2nd St.
T he 2nd Street Bistro (across the street in Murray Hotel building) Open for supper seven days a week, hours 5:00 pm to 10:00 pm. Excellent food, pricy. Many organic and local ingredients. ; 222-9463. 123 N. 2nd St. 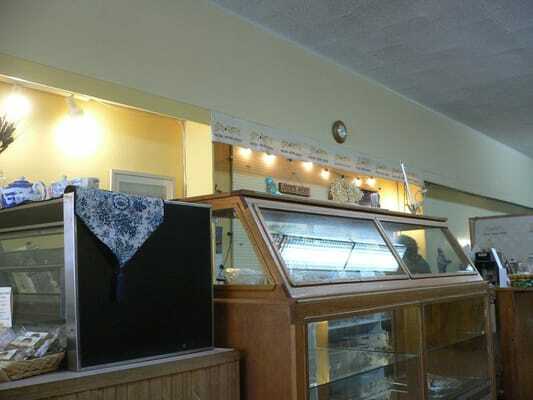 The Hearthstone Bakery and Tea House (1½ blocks) Hours 11:30 am to 2:30 pm. Mon-Fri. Daily special: tasty main dish with soup or salad for under $9. Organic teas, coffee and baked goods. 222-7238. 117 W. Callender St.
Wheatgrass Saloon (2½ blocks) Hours 10:00 am to 5:00 pm, Tue.-Sat. (subject to change). Fresh vegetable and fruit drinks. Café, juice bar and deli. 224-5171. 117 E. Callender St.
Gil's Goods (across the street, next to Murray Hotel) Open every day, 7:00 am to midnight. New deli with limited menu. Good food. Outdoor seating in warm weather. 222-4711. 207 W. Park St.
Fiesta en Jalisco (next door) Open every day, hours 11:00 am to 9:30 pm. Mexican food at good prices. Fast service. Vegetarian options. 222-5444. 119 W. Park St.
J&J (two doors down) Open every day, hours 11:00 am to 9:00 pm. Formerly the Twin Dragon. Chinese food. 222-9009. 117 W. Park St.
Montana Cup Coffee House (½ block) Mon.–Fri., hours 6:00 am to 5:00 pm; Sat. & Sun., hours 7:00 am to 3:00 pm. Breakfast and lunch. Sandwiches, salads, many kinds of coffee. Inexpensive. Fast service. Cordial owners and staff. 222-3266. 113 W. Park St. Bittersweet (1½ blocks) Hours 9:00 am to 3:00 pm, Mon.-Fri. Lunch served 11:30 am to 3:00 pm. Delicious, inexpensive homemade meals with salad and fresh-baked bread included. 222-5593. 121 S. 2nd St.
Breakfast and lunch only. American food. 222-0668. 109 ½ S. Main St.
Chadz Coffee (2 blocks) Hours 7:00 am to 2:30 pm, Mon-Sat. Closed Sun. Relaxed, quaint atmosphere. Good food. 222-2247. 104 N. Main St.
Rick's on Main (2 ½ blocks) Hours 5:00 pm-10:00 pm, Tues.-Sun. Western food. 222-3800. 116 S. Main St. The Sport (next door to Rick's) Open Mon-Thurs.,11:00 am to 9:00 pm; Fri.-Sun., 8:00 am to 10:00 pm. Varied menu. 222-5141. 114 S. Main St.
Mustang Catering (2 ½ blocks) Hours Mon-Fri., 10:30 am to 6:00 pm; Sat., 10:30 am-3:00 pm; Closed Sun. Deli with many selections. 222-8884 215 W. Lewis St.
Pickle Barrel (3 blocks) Hours 7:00 am to 8:00 pm, Mon-Sat; 11:00 am.-8:00 pm, Sun. Sandwiches, soups, coffee, drinks and ice cream. 222-5469 131 S. Main St.
Northern Pacific Beanery (across the street) Hours 7:00 am to 2:00 pm, closed Thurs. American food. 222-7288 108 W. Park St.
49er Diner (5 blocks) Hours 6:00 am to 10:00 pm. Mon.-Thurs. ; Open 6:00 am on Fri. and stays open until closing Sun. night 10:00 pm. Sports bar. Pizzas and American food. 222-8204. 404 E. Park St.
Copper John's (1 mile; in the Best Western Motel) American food. 222-6110 1515 W. Park St. Hours vary. Adagio (2 blocks) Open Mon.-Sat., 11:00 am to 4:00 pm, then 5:00 pm until close. Italian food. Lunch and dinner. Expensive. Slow service. 222-7400 101 N. Main St.
Foodworks Health Foods (5 blocks) Hours 9:30 am to 7:00 pm, Mon.–Fri. ; 9:30 am to 6:00 pm Sat. ; Noon to 5:00 pm Sun. 222-8223. 412 E. Park St.
Town and Country (1 mile away) Open 7 days a week, 7:00 am to 10:00 pm. 222-0559. 1217 W. Park St.
VRBO- find a cabin or house to share in town or nearby or try Hotwire for good deals. Rooms will not fit a rollaway bed. No elevator—if required, ask for room on ground floor. Print out maps, hotel, and food Information.